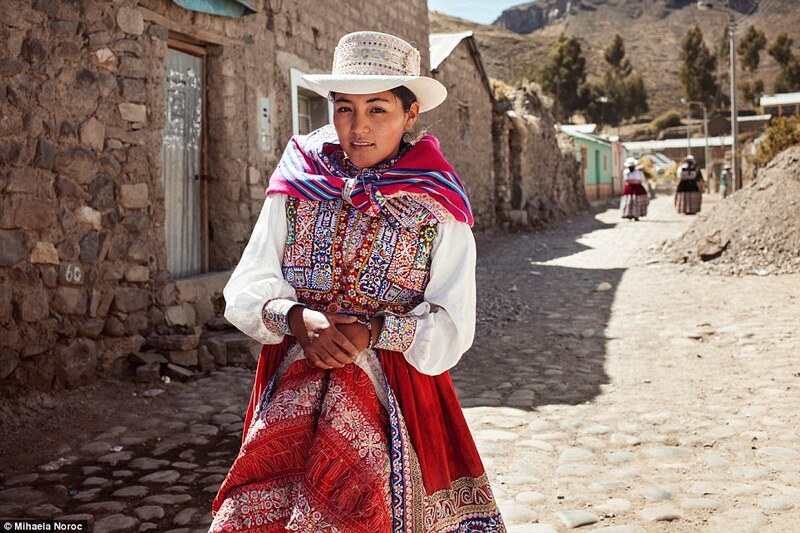 In contrast to the constant barrage of women’s fashion magazines declaring what is attractive, photographer Mihaela Noroc set off on a journey around the world. The Romanian traveled to 37 different countries, where she often met women simply walking the street and took their portraits, highlighting what is considered desirable in different cultures. At times spending only 30 seconds with each subject and traveling only with her camera and a backpack, Noroc tried to take pictures of young women all in their twenties. She explained in a statement to Daily Mail Online ‘I’m a [29-year-old] female photographer from Romania that quit her boring job and started a new life. Two years ago I took my backpack, my camera and begun to travel around the globe, with savings made in years of working.